January 2018 - Comer Construction, Inc. Archive | Comer Construction, Inc.
Congratulations to William (Marc) Cockerham, Comer Construction’s December Employee of the Month. 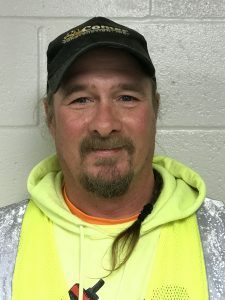 Marc has been a dedicated employee with Comer Construction for nearly four years, serving daily in his role as an Equipment Operator and Skilled Laborer. In this role, Marc assists others on his crew with required construction duties and performs general site development activities using heavy equipment.